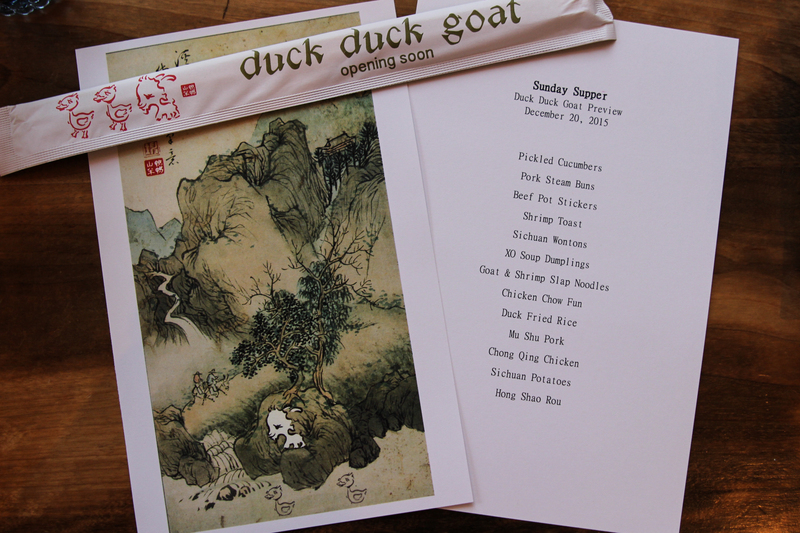 Duck Duck Goat preview dinner! Duck duck goat is coming soon and last night was a fun way for us to get some practice and for guests to get a little taste of what it’s gonna be all about! Dinner was fun, food was tasty (though we still have improvements to make), and the crowd (who was mostly new to little goat kitchen) was awesome! Thank you all who joined us!! Happy holidays! !